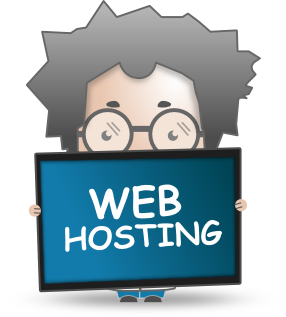 Do you offer web hosting services? Yes! WebSearch SEO are pleased to offer FREE web hosting services to all our clients when they take any of our SEO service packages. Our web hosting is reliable and comprehensive, and even though it’s free, there’s no compromise on quality or support. Our data centre is based in the UK, so your website will load quickly. That’s great for SEO. We run our own dedicated servers, so you’ll never be at the mercy of another company’s rogue clients, and the quality of the service we provide won’t be compromised as a result. We offer expert support to all of our customers, and the features of our web hosting packages easily rival web hosting companies. Even if you’re not ready to explore our SEO services, you’re welcome to open a web hosting account. We charge just £4.95 per month for non-customers. Remember: our clients get this free Cpanel hosting service completely FREE. Why do I need free Cpanel hosting? The speed of your website is an important factor in SEO. A site that loads quickly will be rewarded with a better Google search ranking. Slow loading times are also very off-putting for users – particularly people who have never visited your site before. Your visitors will enjoy a better experience if your content loads quickly, and they will be more likely to explore your site. Usability is also very important, and Cpanel offers all the services and technologies you need to build a modern, robust website. We offer all the services a website designer could need, and Cpanel access means you can administrate everything yourself if you want to. What’s included with free Cpanel hosting? 2GB of disk space: plenty for a small business website. Unlimited bandwidth, so your site will never be taken offline for exceeding limits during a marketing campaign or a spike in traffic. Unlimited add-on domains so you can experiment with different domain names, or have multiple websites on a single hosting package. CGI and Perl support for advanced scripting. PHP & MySQL for interactive database-driven applications. Unlimited email accounts for your primary domain name or any of your add-on domains. Softalicious – 1 click installation for all the latest CMS software and website building platforms including Joomla, WordPress, Drupal, Zen Cart, Magento and more. UPS power backup at our data centre to ensure your site is always online. Cpanel control panel access so you can manage any aspect of your web hosting services. UK based data centres for great response times. Reliable, expert support from our responsive technical team. FREE for our clients. £4.95 a month for non-clients. If this hosting package doesn’t suit you, we’d be happy to vary it on request. We can accommodate any client, whether you’re a sole trader, a growing SME or a large business with more complex needs. How do I apply for web hosting services? We’d be pleased to set up your web hosting account as soon as you’ve signed up for our SEO Services. Or if you would like Hosting first just drop us a line letting us know your requirements and we’ll have you up and running in no time.